A while ago I tried my first Lovemore silk mask, that I had received as a gift from a friend. I posted it on Instagram a few weeks ago (eep!) but I decided it's finally time to post a review here! 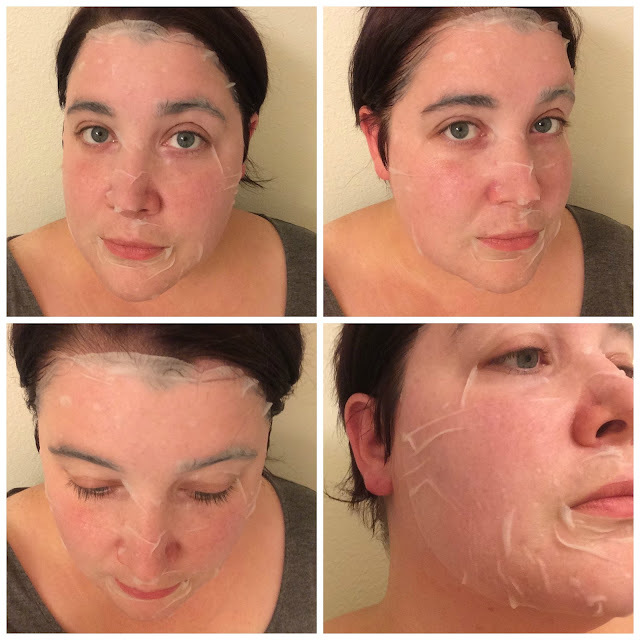 Purpose: This mask uses deep ocean water as a base to help provide essential nutrients and hydration to the skin. 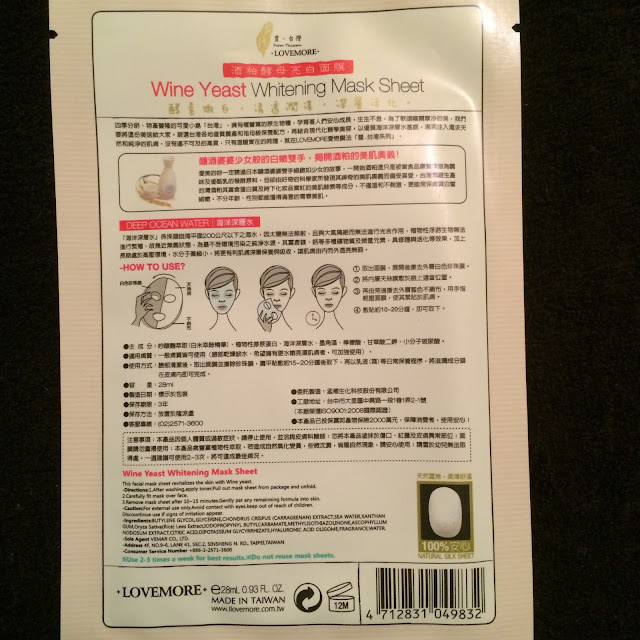 Wine yeast added in helps to brighten the skin. 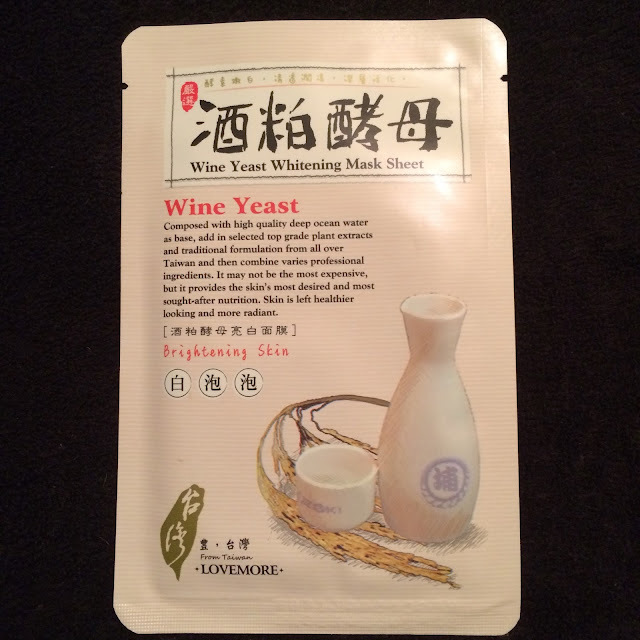 To Use: After cleansing and toning, relax with mask over face. Remove the mask after 15-20 minutes. Lightly massage skin with left over serum. Cosdna Analysis: The Cosdna analysis, while not perfect, only flags one potential trigger. 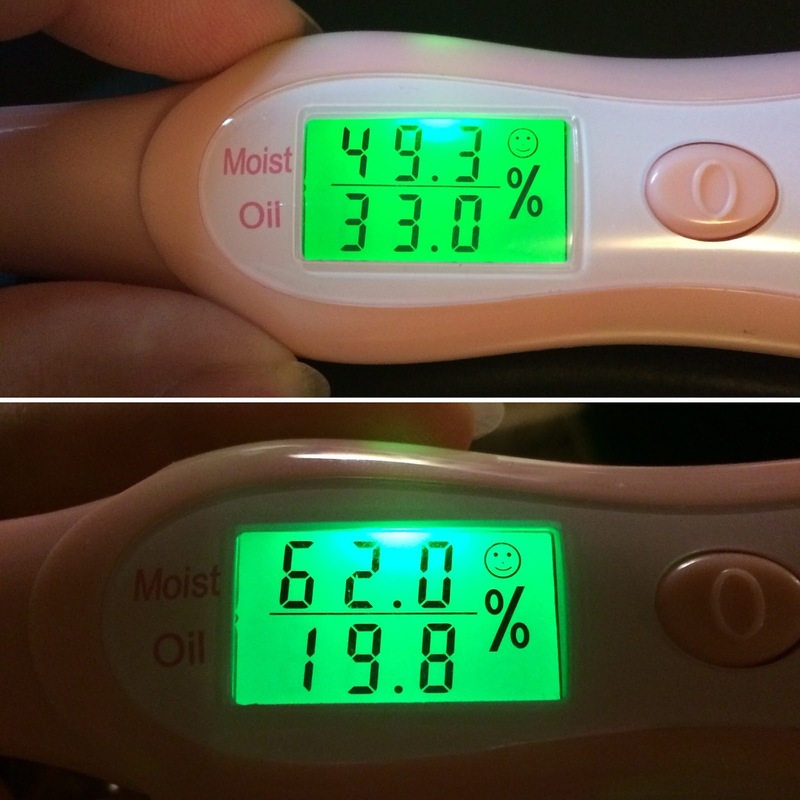 Butylene Glycol rates as a 1/5 on the acne trigger scale, very low and not a concern for me at all. Performance: Being made of silk, this mask is very thin and sheer - if it weren't for the few folds and wrinkles in the mask, it would blend into my face pretty well! This was was unbelievably comfortable to wear, it clung to my face well and didn't move around at all. The only downside was that it dried out too quickly, in less than 20 minutes, which is more than likely due to the incredibly thin material. I found this mask to not only be brightening as suggested on the front of the packaging, but it was also very hydrating. This mask gave my skin a 25% increase in moisture from before to after I used the mask. Rating: 4/5 - one point lost because of quick dry time.